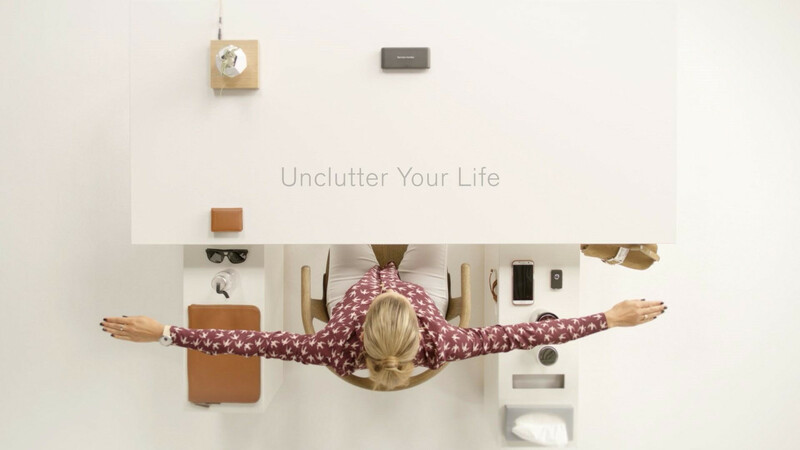 With its first-ever compact crossover, Volvo says goodbye to in-car clutter. Following last month’s teaser talking about the numerous personalization options set to be offered for the XC40, Volvo is back with another preview talking about practicality. You won’t find speakers on the doors because the Swedes have decided to relocate them in order to make the door pockets larger and therefore able to hold more voluminous items. How big you ask? Big enough to store a laptop AND a tablet. Alternatively, you could put two water bottles in there. Not only will the XC40 represent Volvo’s first-ever compact crossover, but it will also be the first vehicle in the world to feature an air-ventilated, dashboard-mounted subwoofer. Designated areas for coins, cards, and charging cables have also been developed, along with usable space for wirelessly charging your smartphone. Should you prefer to use cables, there are several USB ports in there. The glove compartment might not be the most attractive part of a car, but Volvo is attempting to make it more interesting by attaching a small fold-away hook. It will come in handy when you’ll want to secure small shopping bags. Even more usable space can be found underneath the front seats as both have storage areas for a variety of miscellaneous small items. There are even slots for your credit cards to insert somewhere into the dashboard, while the central armrest boasts a generous area that can hold a tissue box. Volvo is making it easy for you to get rid of waste by installing a removable bin. Moreover, there’s a fold-up trunk divider with two hooks for shopping bags together with four load hooks. Under the load floor sits a private locking storage compartment for hiding precious items. Thanks to a multitude of handy features, the automaker coming from a country that gave us Abba and Ikea is confident to say it is ending in-car clutter and is also guaranteeing everything will be within arm’s reach. Volvo Cars today declares an end to a problem faced daily by drivers around the globe: a lack of suitable and functional storage space inside their car. With its innovative approach inside the new XC40 small city SUV, set to be launched in the coming weeks, Volvo Cars takes the lead in the small premium SUV segment in terms of space, storage and all-round functionality. 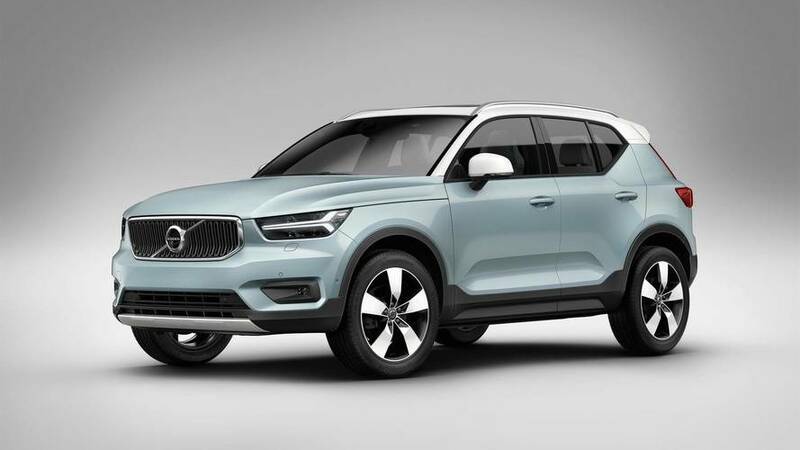 The highly anticipated XC40 from Volvo Cars will complete the company’s SUV line-up that also features the top-of-the-range large XC90 and the mid-sized XC60. As part of the XC40’s development phase, Volvo Cars’ customer research team spent considerable time investigating how city dwellers around the globe use their car on a daily basis – and, more importantly, how they store their belongings in their cars. Customers were also asked how they would like to see the interiors of their cars improved. It turned out that different regions and cities produced remarkably similar results, providing valuable input as Volvo’s designers got to work on the interior of the new XC40. “As we spoke to people about how and where they store the things they carry with them daily, it was quite clear that most of today’s cars are falling short in this area. Phones slide around in the mid-console, takeaway bags are at constant risk of falling over and people fumble behind the wheel as they try to get service cards out of their wallets. We set out to solve these and many other issues we encountered,” says Louiza Atcheba, Model Brand Manager for the 40 Series at Volvo Cars. For instance, in order to provide better storage space in the doors of the new XC40, Volvo designers chose a radical new approach. By moving speakers from the door and developing a world-first, air-ventilated dashboard-mounted sub-woofer, Volvo created enough storage in the door compartment for a laptop and a tablet, or a couple of water bottles. “When we designed the tunnel the focus was not only on creating a nice design, but also to ensure that cup-holders can be used as cup-holders and that the design itself provides areas for coins, cards or charging cables. Another focus area was to make a usable space for your phone which offers wireless charging as well as USB ports,” said Conny Ewe Blommé, Senior Design Manager at Volvo Cars. A small fold-away hook has been added to the glove compartment, allowing you to secure small shopping or take-away bags. Both front seats offer a storage space under the seat, large enough for a mini tablet or other smaller items. The XC40 also offers slots for credit and service cards that can be neatly inserted into the dashboard, making them readily available when needed. In the tunnel console, under the armrest, there is a large storage area with room for a tissue box. A special, removable bin allows you to discard and quickly get rid of waste. “In the trunk we have designed a smart floor system which can fold and separate your luggage and allows you to use the full luggage space without removing the floor from the car. The rear-seat electronic folding mechanism gives you a flat loading floor at the touch of a button,” says Conny Ewe Blommé. The XC40 includes a fold-up trunk divider with two hooks to help secure shopping bags or other luggage, along with four load hooks that make loading luggage a simple task. A private locking storage compartment has also been added under the load floor. “A lot we have done with the XC40 is based on extensive consumer insight. With the XC40, we declare the end of clutter, making sure that everything is within arms-reach but also out of sight. It’s about clearing the clutter so you can clear your mind,” concludes Louiza Atcheba.